Check out the Easter Sale and get up to 60% off almost everything at Jos. A. Bank. Plus for a limited time you can get an extra 40% off clearance. The price is automatically dropped at checkout. Shop suits, dress shirts, separates, and more. 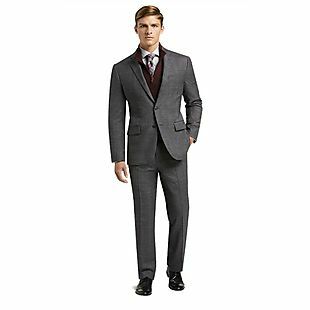 One best bet is this 1905 Collection Slim-Fit Plaid Suit , which falls from $698 to $208.80. That's over $450 off the original price. This 1905 Collection Unconstructed Jacket drops from $199.50 to $40. Shipping is free when you sign up for Bank Account Rewards, otherwise it adds $8. Sales tax is charged in most states.